Just eight months after joining the company to help it “secure a sustainable path forward,” Faraday Future’s chief financial officer, Stefan Krause, appears to be likely headed for the exit door in the coming days, multiple people familiar with the matter told Jalopnik. A decision could come as early as Friday. Krause leaving the company would be a significant blow to the three-year-old startup, which has spent 2017 trying to reshape itself as a serious contender among a crowded field vying to bring electric autonomous cars to life after a year of big promises and intense skepticism from the motoring press and investors alike. Krause’s hire in March was seen as a big deal for the three-year-old startup. A former BMW global CFO and ex-Deutsche Bank exec, Krause had been tasked with courting new investors to raise $1 billion this year for Faraday’s ambitious project. Krause couldn’t be reached for comment Thursday. Faraday declined to comment. 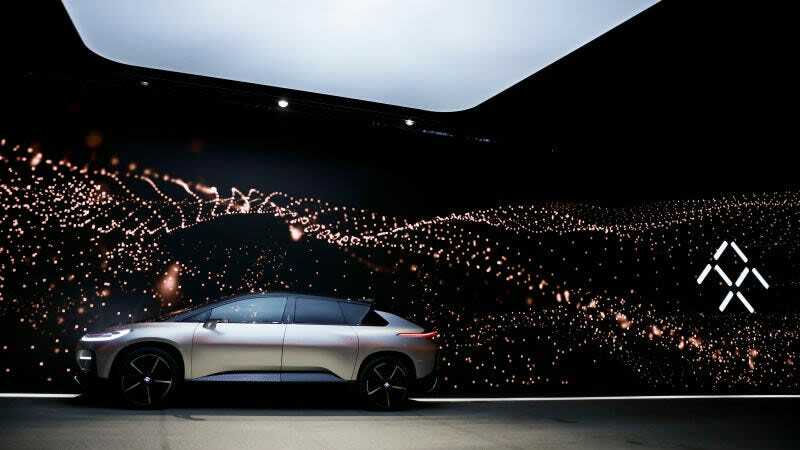 The company—led by its main financier, Chinese billionaire Jia Yueting, who founded the electronics company LeEco—introduced an electric autonomous car at this year’s CES conference called the FF 91, with the intention of beginning production on the vehicle in 2018. But just like the year before, 2017 hasn’t gone as well as Faraday expected. In July, Faraday backed away from a plan to build a $1 billion factory in Nevada, and the hopeful fundraising round hasn’t been successful. That same month, after missing several loan payments, a Chinese court froze $182 million in assets of Jia, prompting fresh concerns about Faraday’s viability. At the time, Faraday said Jia’s financial issues wouldn’t affect the company’s long-term plans. In August, Faraday added Chief Operating Officer to Krause’s title. Having abandoned the plans for a factory in Nevada, the company secured a $14 million emergency loan to keep the lights on and found a substitute facility in California. The relocation hasn’t quelled anxiety and turnover at the company, however. In October, two founding execs—including, Jalopnik reported, its interior design chief—left the company in the span of a week. From there, pictures of a presentation began to circulate among Chinese news outlets, purporting to show that Faraday had planned to file for bankruptcy in August, with the intention of turning control of the company over to new investors by November. Faraday told Jalopnik the company didn’t authorize the creation of the documents, and said it’s conducting an investigation to identify the source of them. The frustration has seemingly continued to boil over at the company’s headquarters in Gardena, California, and now Krause could be the next exec to leave. Part of the problem, sources said, is that Faraday attracted serious offers from investors, but keeping Jia in the picture was a nonstarter. Jia, the sources said, has refused to step down to date. Have you heard anything about Faraday Future? Email me, message me here for my Signal contact, or reach out to the staff at tips@jalopnik.com.